Fresh decals, a sharp rear end, aggressive tank spoilers and air intakes, portrays the KTM 1290 SUPER DUKE R's brutal attitude. The reduction of plastic parts shouts 'NAKED' and creates a BEAST that is always READY TO RACE. Not enough for you? Well adding even more performance to this BEAST is only reserved for the brave! 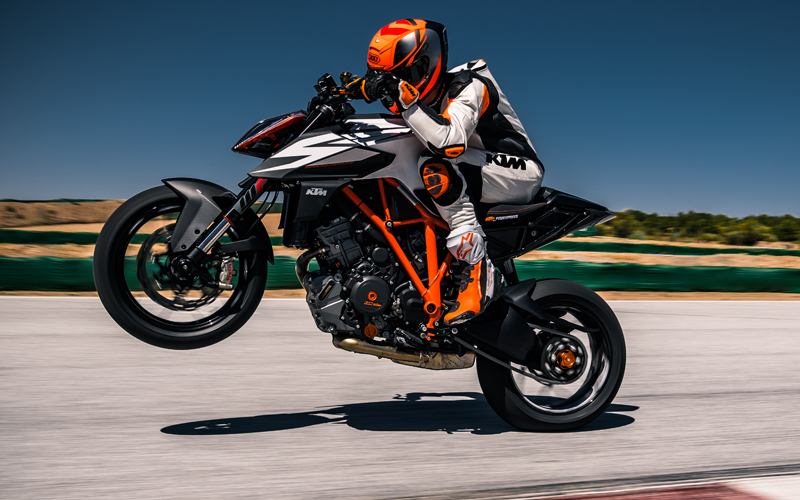 All KTM PowerParts are developed for their respective machines, meaning that KTM 1290 SUPER DUKE R riders only get parts that perfectly complement their ride and provide the same 'factory fit' straight from the dealer – allowing you to refine your BEAST's functionality, look and feel to better fit your personal needs.